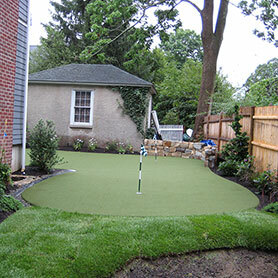 Looking to install a home putting green or turf? Sport Court of Massachusetts is a proud supplier of Ultrabase panel systems. We offer installation for Athletic Facilities, Putting Greens, Batting Cages, and Playground Turf which are is easy to install and maintain, saving valuable time, materials and money all while creating a safe, more environmentally friendly synthetic turf area. No putt-putt playing with windmills and clowns here--Sport Court of Massachusetts helps you perfect your stroke with Tour-quality putting greens. Create a copy of your favorite putting green right in your own backyard and watch your scoring improve. In addition to designing and installing putting greens, our CourtBuilders™ also specialize in backyard basketball courts, multi-sport game courts, volleyball courts, futsal courts, tennis courts, roller hockey courts, netball courts, and handball courts. Surround your green with lush fringe turf for a real-grass look and feel that gives you an optimal place to practice short chip shots. Tufted nylon with a reinforced root zone let the “blades” stand up to continuous use without losing the realistic look. 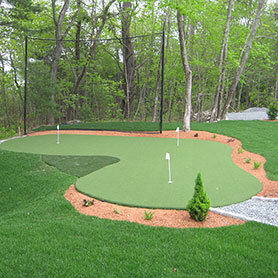 Sport Court of Massachusetts builds home putting greens for several counties in Massachusetts and New Hampshire. If you are looking for the perfect backyard synthetic grass putting green to perfect your golf game at the comfort of your own home. 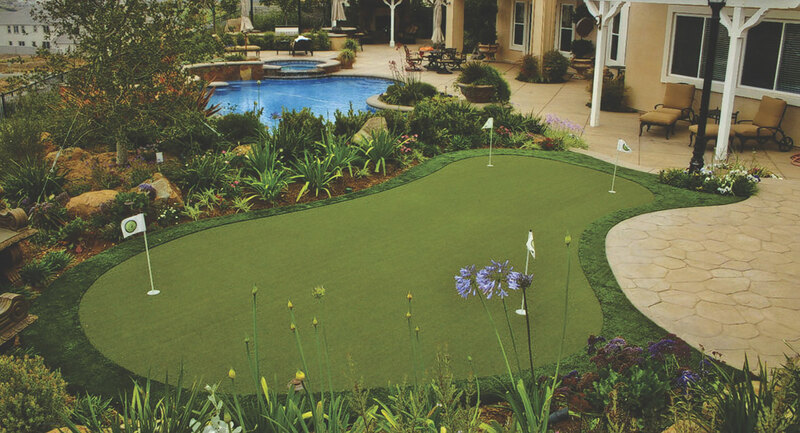 Our backyard golf putting greens look beautiful at any home, apartment complex, and offer the quality needed to be used at public and private courses.